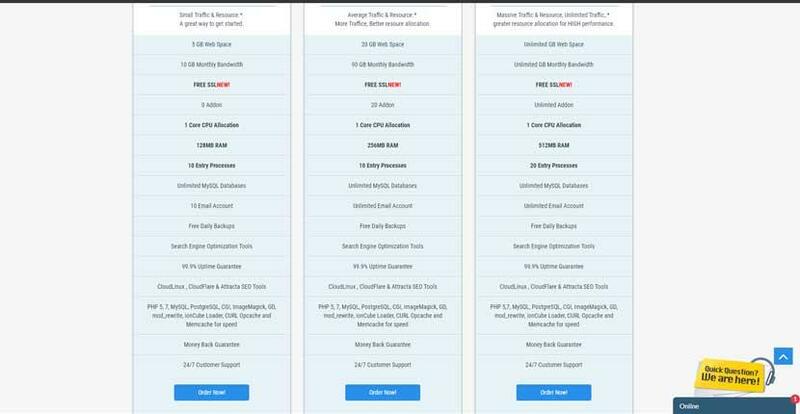 VBHOSTNET Review 2019: Is VBHOSTNET a Good Hosting? VBHOSTNET is a Nigeria-based web hosting company dedicated to providing its customers with a user-friendly and reliable service. VBHOSTNET, short for ViewBound Hosting Network, is a privately-owned company by Viewbound Systems Technology. The company is located in Nigeria and was founded in 2010. The company offers affordable web hosting services for customers located in Africa and Nigeria. Services and support are available primarily in English. Beginners will be happy to know that VBHOSTNET also offers the RVsitebuilder, enabling you to get a website up quickly with zero coding knowledge. You can access this easily via your control panel. You also get free daily backups included in your shared hosting packages, which is an important feature if you’re planning on installing WordPress. VBHOSTNET also offers a free WordPress setup service, although sadly there’s no one-click app installer available. Once you’re ready to upgrade, VBHOSTNET gives you a choice between a Linux-based or Windows-based VPS with plans that contain anywhere between 1 GB to 4 GB RAM. There are also dedicated server packages available with up to 800GB SATA storage, 16GB DDR3 RAM, and full root access. Even though the company is looking into introducing more flexible billing terms for its customers, the current plans are quite affordable. For now, you can get a half-yearly, annual, or two-year plan that will be worth every single coin. Payment options include bank payments for both local and international clients as well as PayPal. In case you’ve paid for a package and are unsatisfied with the services, you can also take advantage of a 14-day money back guarantee. I had the pleasure of interacting with their live chat agents and I have to admit that I was impressed. Most important was the human factor through the personally-crafted answers plus the knowledge of their agents on the web hosting issues I raised was sharp. I didn’t have to spend a long time waiting for a response; it took them less than five seconds to get back to me. 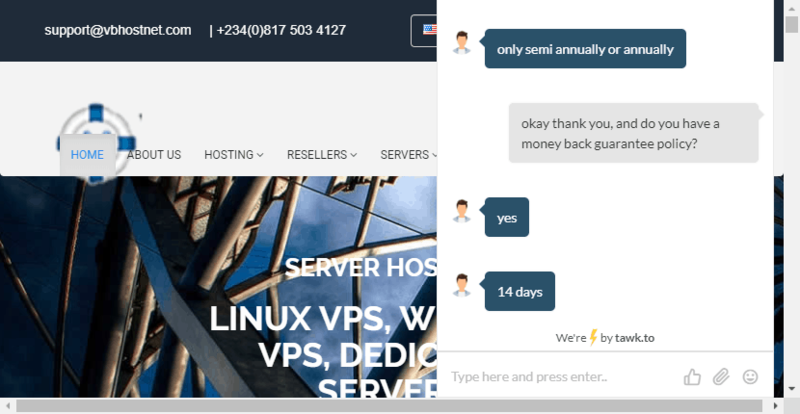 onClick="trackClickout('event', 'clickout', 'Vendor Page - Visit User Reviews', 'VBHOSTNET', this, true);"
VBHOSTNET is your one-stop shop for high-quality Nigeria-based web hosting, free SSL certificates, outstanding support, and up-to-date dedicated servers — all at affordable rates without any hidden costs even upon renewal. Wondering how VBHOSTNET stacks up against other Web Hosting companies? Enter any other Web Hosting company and we will give you a side-by-side comparison.